House passes sweeping roads plan raising gas tax and vehicle registration fees. Representative Lee Chatfield defended this increase on a Facebook post saying it was tax neutral. Most of the House Democrats voted against the bill. The tax increases are offset by tax deductions, therefore making it tax neutral ~ Lee Chatfield. How can that be when the legislators took away what they are giving us back and calling it tax neutral? Part of Michigan’s business tax reform was that it wiped out the homestead property tax which hurt seniors and middle class citizens who could least afford it. All for the crony business buddies of the politicians who donate to their campaign coffers. How you’re paying more. For Michigan families, changes to tax credits and deductions have been deeply felt. Michigan’s individual income tax revenue jumped 25% between 2011 and 2012, a $1.4-billion increase. The remainder of the increase can be explained by deductions and tax credits that were either eliminated or modified significantly. For millions of Michigan residents, these were experienced as tax increases. They include: $270 million from a decrease in the homestead property tax credit. $240 million from cuts to the Earned Income Tax Credit (EITC). $200 million from the pension tax changes. $50 million from the elimination of deductions for children. $50 million from the elimination of the special exemption for age and unemployment compensation. $90 million from elimination of other nonrefundable credits, such as city income tax, homeless/food bank contributions and contributions to public universities and public broadcasting. The average taxpayer received half as much in credits in 2012 as in 2011. In addition, the new tax code freezes the individual income tax rate at 4.25%; before the changes, that rate was scheduled to drop 0.1 percentage point each year until it reached 3.9% in 2015. Republicans reneged on this. 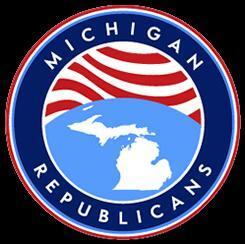 Michigan Businesses get a $1.65 billion cut the citizens get to pay for it with tax increases! The difference is being made up with $1.42 billion in additional income taxes, which includes applying the tax to pensions and other retirement income. But making up for the revenue loss is more devastating to Michigan taxpayers and their families. One of the biggest income tax changes wipes out the Homestead Property Tax Credit, which has a $1,200 maximum, for households making more than $50,000 or those with homes with a taxable value of more than $135,000. The current income threshold is $82,650. The change affects some 268,500 tax filers. Other changes were to the Michigan Earned Income Tax Credit for low-income wager earners would be reduced from 20 percent of the federal credit to 6 percent. That takes the average $430 state credit received by nearly 800,000 claimants down to $143. 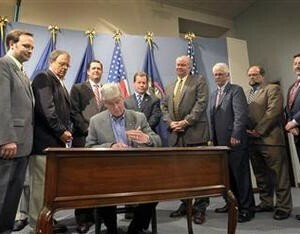 2011 Largest Michigan Tax Overhaul in state history House Bill 4361 Replace MBT, raise income tax, axe taxpayer credits. 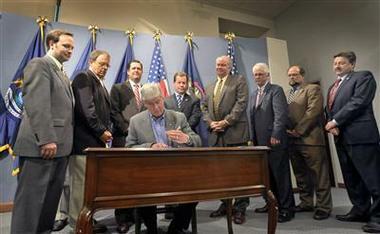 Public Act 38 of 2011 Passed by the Republican controlled legislature Signed into law by Gov. Rick Snyder on May 25, 2011. Click to see how your Representatives voted. Click to see how your Senators voted.